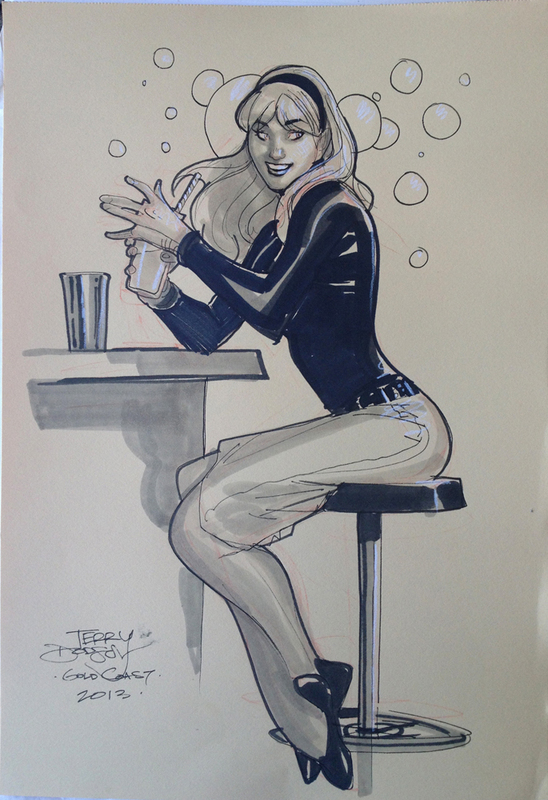 Another sketch from Supanova, Gold Coast, April 2013 - Gwen Stacy. Really wanted to stay away from a typical shot of her - so decided on Gwen at the Soda Shop! That's a strawberry malt she's having, btw! Gwen in a soda shop. Man that takes me back. 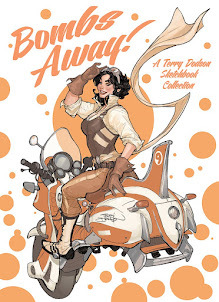 Cool... that was the plan!